In Externship-Internship, client encounter is described as a student having Observation, Direct Hands-On and One-On-One experience with a client. Student is encouraged to develop a stable of clients, that can each receive an initial intake, with three or more follow up visits in order to establish positive outcome experiences. Observation: Observing the Teacher and or Ayurvedic Practitioner in a classroom or clinical environment. Direct Supervision: Working one on one or within a small group of Students having an encounter with a client, with the Teacher and or Ayurvedic Practitioner present. Students will be required to provide recommendations in client assessments. One-On-One/Direct or Indirect: Student directly conducting the encounter with the client in a more intimate and professional environment. All Recommendations and Follow ups are supervised directly with the Supervised Practitioner and delivered by the Student. Student is responsible for all recommendations (to be approved by supervisor) and for Scheduling time with Practitioner. In this hands-on course students will observe Dr. Vaidya assess 15 clients. Students will record all of Dr. Vaidya’s findings in their individual client assessment packets. Students will witness at least 15 observations including: Client’s Health History, Tongue Diagnosis, Nail Diagnosis, Eye Diagnosis, Blood Pressure findings, Pulse Findings, Recommendations for Client and etc. This course is designed to empower students through mentorship observation, while also launching them into keeping their own records for client intake forms. Dates: Classes starting Thursday September 20, 2018, through Friday September 21, 10:00 am – 6:30 pm MT. In-person, in Superior, Colorado. 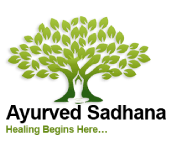 The internship will help students to develop their abilities and skills, diet and lifestyle counseling, client’s condition assessment and history, taking Ayurvedic vital signs and client’s communication and well-being outcome. Dates: Classes will start on Monday, August 13, 2018 through Monday, December 10, 2018 every other week for APP and AAPP students.